Tart and sweet natural kiwi flavor made from small grape size. Natural kiwi flavor gives you a flesh and unique taste of kiwi fruit. Its sugar and gluten free with no artificial sweeteners. 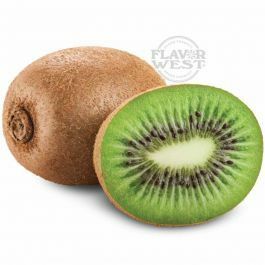 Type: Kiwi All Natural Water Soluble Flavoring. Ingredients: Natural Flavoring, Propylene Glycol. USP Kosher Grade Flavoring. Usage Rate: 15-20% for E-use. Flavor suitability: Suitable for beverage baking and candy flavoring. Specific Gravity: 1.15 No Refunds on Flavoring.